 "Colorado's finest in early music performance"
Both of the Brahms Op. 29 motets are exceptional. I'm intrigued at the prospect of presenting Op. 29 No. 1 from the perspective of a small vocal ensemble. How does the performance practice of a consort meet Brahms in a work so heavily influenced by Bach and the German Lutheran tradition? I often consider how to play a Bach-derivative passage in a Hindemith solo viola sonata. Hindemith was a leader in the consideration of performance practice and period instruments, and led the early music ensemble at Yale, and yet, what bow strokes and phrasing was he thinking in his own work (in the passages referential to 18th century music), considering the early music "movement" was in its infancy? Is it justifiable to play a phrase in Hindemith in a manner that is informed by what are now considered to be common Baroque music performance practices? And by extension, how might we consider texture and contrapuntal clarity in a Brahms motet? What about brighter vowels and some utterly pure harmonies, sung without vibrato? We know quite a bit about the variety of vocal and choral performance practices in Brahms's lifetime, but what I'm suggesting is intentionally applying Baroque performance practices to a work by Brahms that is "blatantly Bach" (inspired). Physicists tell us observing electrons changes their behavior. The "behavior" of a great composition changes with the performing forces, stylistic approach, interpretive priorities, clarity of counterpoint vs. richness of harmonic sonority, and so forth, such that one might illuminate the Bach within a Brahms work by looking to the successful findings in the past 50+ years of "early" music discovery. Let's consider Mozart's Adagio and Fugue for String Orchestra. It suffers from what some would call a "romantic" interpretation habit, (although these terms "baroque" and "romantic," when used to classify interpretive decisions lack the nuance a longer discussion would permit). Anyway, let's look at Bach first, since Mozart is basically trying his hand at a baroque form (in a different way than when he incorporates it into his mature work, for example the final movement of Symphony #41 in C). What does it mean to play the Adagio and Fugue in "Baroque Style"? or maybe as a Bach son would have performed it? (given what we know about their leanings toward larger orchestrations, different doublings, and more). And what about Mozart himself? What esthetic did he have in mind? Is it possible he would have laughed it off sarcastically as a meaningless composition exercise that takes itself too seriously as a piece of music? So then, how are we to (dare I say it) transcend the act of being a channel for the composer, and instead simply be a conduit for the artwork itself, to reveal aspects. Those aspects cannot (usually) be all-inclusive. Priorities must be established. Celibidache conducting (Mozart or Brahms) favors a tempo that is slow enough for the audience to hear every event in the score, while Gardiner favors a feeling, a character, a dramatic sense. The latter is most successful is in the introduction to the Overture to Don Giovanni. It is special, and fast: the syncopations and flourishing scales are turbulent, and foreboding. Yet, where Celibidache convinces me is in the first movement of Brahms Symphony #1 (in a recorded Live concert with Munich Phil). He paces every would-be climax as a true architect, planning the large form with every nuance, building exquisitely and patiently. OK, so then what to do with a Blatantly Bachian Brahms, such as in Motet Op. 29 No. 1? I don't have "the" answer, but I have goals. Elements of Form include counterpoint (and texture), harmony, text. Elements of Feeling include shape of line (and texture), voicing and sonority, text in sound and meaning. Next week I start my own journey with our 38th season finale repertoire, and will certainly write more as I learn more along the way. Examining style and apparatus (instrument set up) in Haydn's orchestra vs. an orchestra playing Chopin will come in a blog post soon. Our orchestra will make the subtle adjustments at intermission, to be able to move from Haydn to Chopin, pitched at A=430 and with gut strings. All three works on the program are truly amazing, and I look forward to presenting each on its own terms, within the context of its own era as well as with consideration to its distinctions.